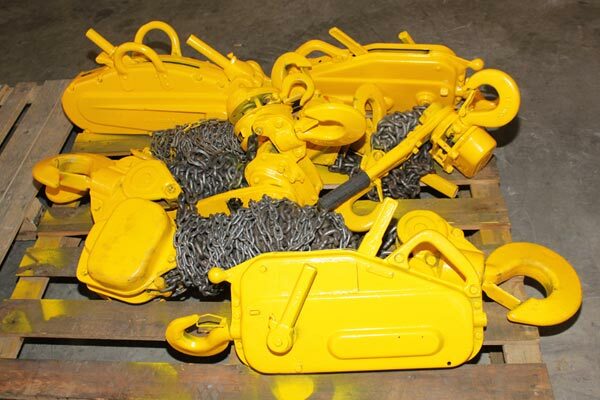 Lifting equipment, by its very nature, is under constant stress and therefore it requires regular maintenance. This maintenance should only be carried out by experienced staff who have the necessary knowledge and skills. TOCO LIFTING provides this kind of service to its customers. We strip, quote and repair all types of lifting and rigging equipment, including manual hoists, electric hoists, pneumatic hoists, winches, chain slings, etc. We then test the equipment on our test benches and we supply a certificate for each repair. We carry a wide range of spares, but we also know where to source original branded parts. When you purchase lifting or rigging equipment from TOCO LIFTING, you should know that it will be repaired whenever necessary, we do it in-house. We also repair products that are sold by other suppliers.